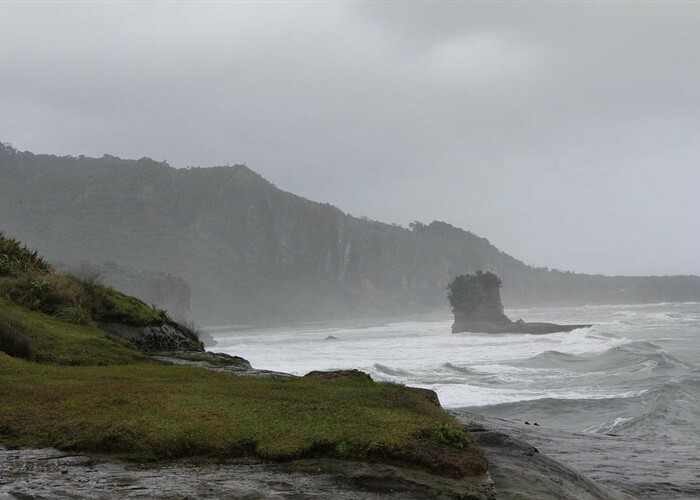 Visit coastal platforms and caves near Punakaiki. Wild coastline at the end of the Truman Track • By Matthew. Licence: cc by-nc-nd. Added 28 May 2002 by MatthewMatthew. No revisions.